A dog’s bark may be worse than his bite, but most of us would rather not find out one way or the other. Growling, baring teeth, snarling, snapping, and biting are all aggressive behaviors. Although these messages are among the handful of communication tools available to dogs, they’re generally unacceptable to humans. Because dog aggression is so complex, and because the potential consequences are so serious, we recommend that you get professional in-home help from an animal behavior specialist if your dog is displaying aggressive behavior. Fear-motivated aggression is a defensive reaction and occurs when a dog believes he is in danger of being harmed. Remember that it’s your dog’s perception of the situation, not your actual intent, which determines your dog’s response. For example, you may raise your arm to throw a ball, but your dog may bite you because he believes he’s protecting himself from being hit. A dog may also be fearfully aggressive when approached by other dogs. Protective, territorial, and possessive aggression are all very similar, and involve the defense of valuable resources. Territorial aggression is usually associated with defense of property, and that “territory” may extend well past the boundaries of your yard. For example, if you regularly walk your dog around the neighborhood and allow him to urine-mark, he may think his territory includes the entire block. Protective aggression usually refers to aggression directed toward people or animals whom a dog perceives as threats to his family, or pack. Dogs become possessively aggressive when defending their food, toys, or other valued objects, including items as peculiar as tissues stolen from the trash. Redirected aggression is a relatively common type of dog aggression but one that is often misunderstood by pet owners. If a dog is somehow provoked by a person or animal he is unable to attack, he may redirect this aggression onto someone else. For example, two family dogs may become excited, and bark and growl in response to another dog passing through the front yard; or two dogs confined behind a fence may turn and attack each other because they can’t attack an intruder. Predation is usually considered to be a unique kind of aggressive behavior because it’s motivated by the intent to obtain food, and not primarily by the intent to harm or intimidate. The likelihood of a dog to show aggressive behavior in any particular situation varies markedly from dog to dog. Some dogs tend to respond aggressively with very little stimulation. Others may be subjected to all kinds of threatening stimuli and events and yet never attempt to bite. The difference in the threshold prompting aggressive behavior is influenced by both environmental and genetic factors. If this threshold is low, a dog will be more likely to bite. Raising the threshold makes a dog less likely to respond aggressively. This threshold can be raised using behavior modification techniques, but the potential for change is influenced by a dog’s gender, age, breed, general temperament, and the way in which the behavior modification techniques are chosen and implemented. Because working with aggressive dogs can be potentially dangerous, behavior modification techniques should only be attempted by, or under the guidance of, an experienced animal behavior professional who understands animal learning theory and behavior. First, check with your veterinarian to rule out medical causes for the aggressive behavior. Seek professional advice. An aggression problem will not go away by itself. 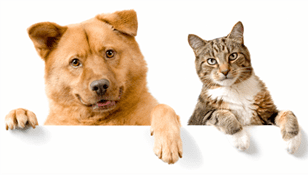 Working with aggression problems requires in-home help from an animal behavior specialist. Take precautions. Your first priority is to keep people and other animals safe. Supervise, confine, and/or restrict your dog’s activities until you can obtain professional guidance. You are liable for your dog’s behavior. If you must take your dog out in public, consider a cage-type muzzle as a temporary precaution, and remember that some dogs are clever enough to get a muzzle off. Avoid exposing your dog to situations where he is more likely to show aggression. You may need to keep him confined to a safe room and limit his contact with people. If your dog is possessive of toys or treats, or territorial in certain locations, prevent access and you’ll prevent the problem. In an emergency, bribe him with something better than what he has. For example, if he steals your shoe, trade him the shoe for a piece of chicken. Spay or neuter your dog. Intact dogs are more likely to display dominance, territorial, and protective aggressive behavior. Punishment won’t help and, in fact, will often make the problem worse. If the dog aggression is motivated by fear, punishment will make your dog more fearful, and therefore more aggressive. Attempting to punish or dominate a dominantly aggressive dog may actually lead him to escalate his behavior to retain his dominant position. This is likely to result in a bite or a severe attack. Punishing territorial, possessive, or protective aggression is likely to elicit additional defensive aggression.